If one thing is clear, is that Final Fantasy VII was one of the top games released back in 1997, an epic role-playing game boasting fantastic characters, story and graphics. Actually, the game was one of the best-looking released at the time and the first Final Fantasy to feature full 3D graphics. 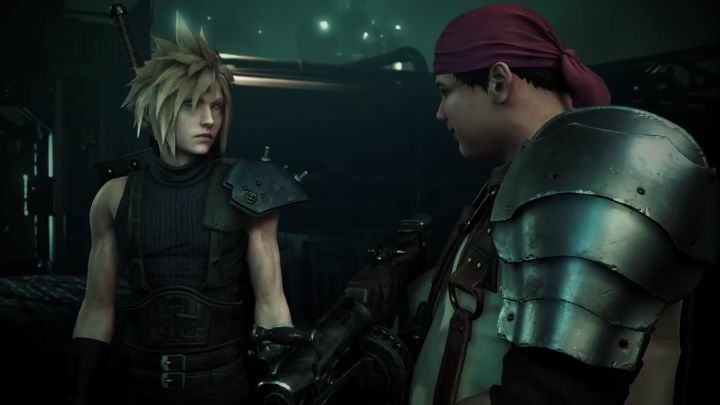 So many players were elated when Japanese video game company Square Enix announced that a Final Fantasy VII remake was in the works, and that it would be released at some time in the future, a remake about which not much information has been revealed to date though. But at least we now know how the game’s reworked graphics could look like, as game director Tetsuya Nomura recently released a pair of screenshots during the Magic Monaco event which took place on February 18, screenshots which were tweeted on the official Final Fantasy Twitter account. The first of these screenshots (see below) shows the game’s iconic protagonist Cloud hiding behind cover in the midst of a firefight, while the second shows Final Fantasy VII’s heroes battling the dreaded Guard Scorpion, the first boss players encountered in the 1997 original. So it’s clear that this Final Fantasy VII remake is looking quite beautiful judging by these latest screenshots, and hopefully this remake will be able to capture the magic of the original game and be a treat for Final Fantasy fans when it’s released at some point in the future.